This photo was taken from a moving car while traveling from New Delhi to Agra, when visiting India in 2005. I am posting it as part of the DP Photo Challenge Signs . This is not the best quality photo but I found it a somewhat funny indication (not of direction, as usual signs on roads do) of the country’s behaviors and culture. 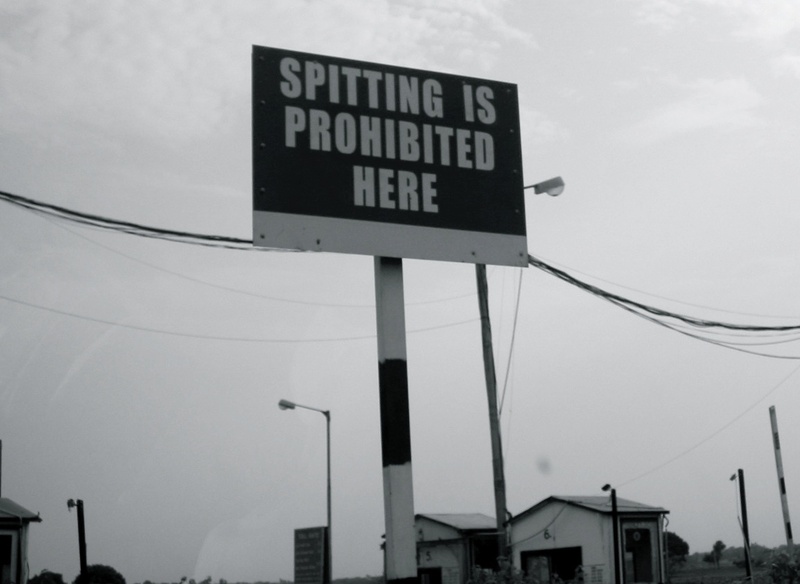 Haha who knew spitting could be problem enough to warrant a sign?